You’ll work alongside a knowledgeable, creative and energetic group of colleagues focused on providing exceptional service and best-in-class solutions to our life sciences clients. You’ll develop close relationships with our clients as part of a team that understands how to meet, and exceed, each of our clients’ specific needs. You’ll be a part of each study’s success and your focus, consistent effort and good ideas will help us to continue to improve everything we do so that we keep “wowing” our clients. Are you a good fit for us? Are we a fit for you? We want to meet you if you’re smart, hard working, ambitious, and passionate about working in an entrepreneurial environment. Axiom is a great place for you if you’re eager to use all of your skills, interested in growing your responsibilities, and love to have fun while you do great work. If you’re interested in working with us, but don’t see a role currently listed, please feel free to send us your resume, along with a short summary of your skills and why you’d like to work with us to careers@axiom.cc and we’ll be in touch. To apply please submit your resume, along with a short summary of your skills and why you’re the best fit for this role, below. We look forward to hearing from you. The Senior Quality Assurance Associate is involved with the direct and daily administration of the Quality Management System, working closely with the Director, Quality Assurance and members of the Project Management, Data Management, Software Engineering, Product Management, and Customer Care teams. This is a full-time opportunity reporting to the Director of Quality Assurance. Provide oversight of activities to ensure compliance with GxPs. Prepares key quality documentation (deviations, change control, and CAPA documentation) that impact quality of products. Review and approve GxP documentation including deployment records. Liaise with internal groups to ensure detailed investigations and root cause analysis for non-compliance issues in a timely manner. Aids in performing compliance audits in all departments and prepares results reports for Director, Quality Assurance. Ensures outstanding corrective actions from the audits to ensure timely corrective actions. Demonstrates a primary commitment to product quality by maintaining compliance to the Quality Policy and all other documented quality processes and procedures. Participate in the compilation of KPIs. Oversee the compliance of the internal training process. Investigates non-conformance’s to ensure recurrence is prevented. Prior work experience in Health Care Industry is essential..
We are seeking a Clinical SAS Programmer to contribute to the preparation, validation and maintenance of SAS programs to generate SDTM and ADaM SAS datasets, specifications, tables, Listings, Figures and graphical displays of clinical trial and safety data. The position is also responsible for developing SAS programming codes and generating complete and accurate statistical output reports of trial data in well-defined formats. The incumbents will be responsible for performing statistical programming, validation, and quality control of the SDTM and ADaM datasets and output tables/listings/graphs. Design and specification of study data tabulation models and analysis data models. Generate complete and efficient analysis data models following approved dataset designs or specifications. Develop SAS programming codes to independently validate statistical output reports of trial data generated by other programmers or statisticians. Writes, validates and maintains SAS programs to generate SAS datasets, spreadsheets, ASCII files, data listings, tables and graphical displays of clinical trial and safety data. Contribute to the establishment of client specific programming standards/conventions/procedures for assigned clients when required. Bachelor’s Degree in a related field required (e.g. Statistics, Computer Science), Masters preferred. Proven SAS experience and expertise as demonstrated in previous work (SAS certification is an asset). Extensive knowledge of CDISC standards programming – SDTM and ADaM. An understanding of relevant safety and efficacy ICH guidelines as well as relevant clinical trials regulations. Demonstrated leadership ability to effectively manage statistical programming activities and integrate them with the entire clinical trial operation. Good organizational and time management skills with the ability to manage concurrent projects and adjust to changing priorities. Excellent interpersonal skills; Demonstrated ability to work independently and as part of a team. Proven flexibility and adaptability when working in a team and independently, using good judgment in making decisions. The Clinical Coding Specialist is responsible for the creation, ongoing management and closeout of coding activities of Fusion projects, by working closely with the Data Management; Project management Teams and other members of Company Departments. Implement and maintain an automated test suite for the central functionality of our product. This test suite is flexible and adapts to the different requirements of our many Clients. Participate in manual testing of the product. Focus heavily on regression testing, integration testing, unit testing, stress testing, performance testing, and system testing. Create and maintain all relevant documentation, including test design, test scenarios, test plans, test cases, reports, etc. Lead training in proper testing and relevant documentation techniques. Work with the CEO, Product Management team, Project Management team, and Software Engineers in key product initiatives. Bachelor’s Degree or higher in Software Engineering, computer science, or another software related field. Axiom Real-Time Metrics Inc. is an established company in the life science sector continuing to experience strong growth after more than 15 years in the marketplace. One of the contributing factors is our unique eClinical suite that gives our customers a single, intuitive and powerful software platform to manage their entire clinical study. 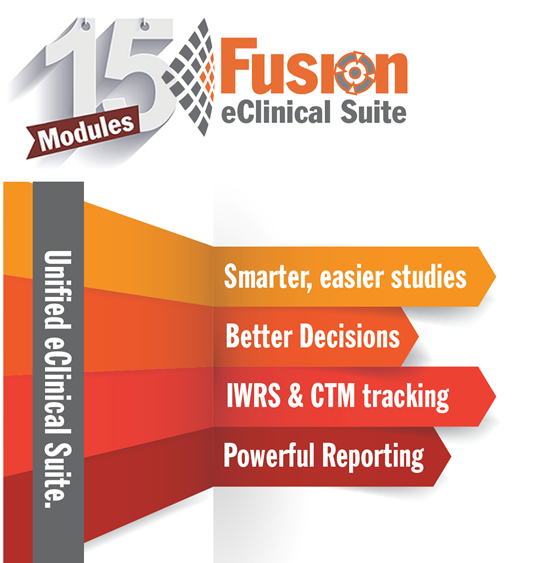 Our Fusion platform delivers an easy-to-use, powerful and cost-effective eClinical / EDC / Data Management solution, designed specifically for small to medium biotech, pharma and CROs. From powerful, intuitive EDC to complete data management, study operations and monitoring, we ensure that our clients can focus on the clinical research, not the technology needed to conduct it. Axiom believes that exceptional customer service is key to a great business relationship. We work extremely hard to deliver high quality study and data management solutions. Driving and supporting Axiom’s services is Axiom’s Customer Care team, who are available 24/7 and work with end-users to address questions, issues and refresh training. Facilitating, implementing, verifying and operating electronic case report forms. Ensuring adherence and compliance to standard operations procedures for projects. You are smart. You are driven. You like working with others who are smart and driven. You are ready to take your career to the next level in a fast moving and growing organization. Having an interest and curiosity for science and technology, you want to work with an organization that makes a difference in people’s lives, one that truly partners with its employees and its clients; clients who are at the forefront of research in their disciplines. All interested applicants are requested to submit a resume and cover letter. We thank all applicants for their interest but only those selected for interview will be contacted. No phone calls or third-party recruiters please. Driving and supporting Axiom’s services is our Customer Care team, who are available 24/7 and work with end-users to address questions, issues and refresh training. Maintain a working knowledge of Axiom’s products and services. You are the first point of contact with our End-Users and as such, will provide outstanding customer support that mirrors the quality of Axiom’s products and services. Minimum 2 years in a Customer Service environment. Experience in the technology, pharma or healthcare industries an asset. Excellent oral, written communication, time management and organizational skills. Ability to work independently in a team environment. Proficient in Microsoft Word, excel, Power point, Project and Outlook. All interested applicants are requested to submit a resume and cover letter. We thank all applicants for their interest but only those selected for interview will be contacted. Applicants must have current work authorization in Canada. No phone calls or third-party recruiters please. Company paid medical, dental, vision, Healthcare Spending Account.